Today we have a guest post from JJ, aka The Debt Hustler! If you’re trying to smash your debt, you’ve likely come across two main schools of thought: the Avalanche Method (pay extra toward the highest-interest debt) and the Snowball Method (pay extra toward the smallest loan). 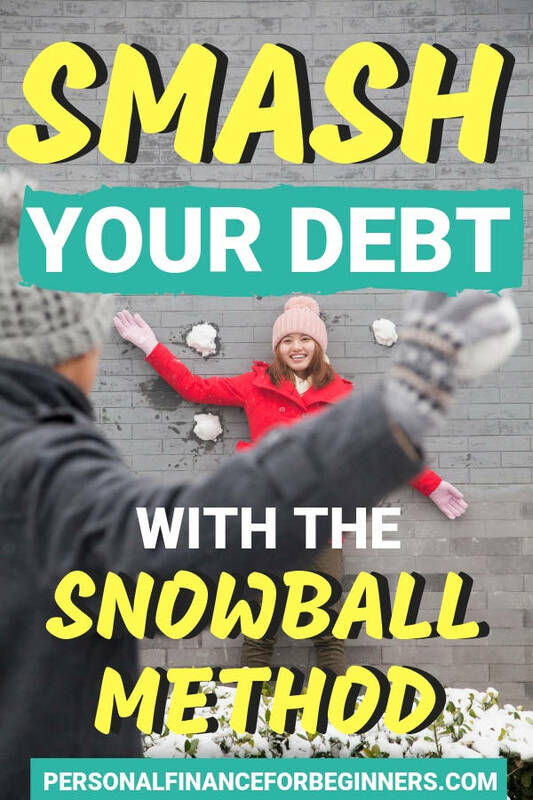 While the Avalanche Method more optimally reduces your total interest paid, the Debt Snowball Method can be an effective way to build some momentum! Learn more about each method and decide which approach is right for you! Being in debt is one of the most stressful experiences a person can endure. And if you have multiple debts, figuring out how to manage them can be even more of a challenge. Thankfully, people have been managing money for quite some time now—and in the process, we’ve learned a thing or two about what works and what doesn’t. One money management strategy that you may have heard about is the Debt Snowball Method. But, what’s this strategy all about and how can following the Debt Snowball Method help you become debt-free? What Is The Debt Snowball Method? When you have multiple debts, figuring out how to get rid of them can seem tricky at first. Do you pay them all at once, or do you focus on one of them first? And if you do focus on some debts first, how do you know which ones to target? That’s where the Debt Snowball Method comes in. The Debt Snowball Method is a debt repayment strategy that has often been attributed to Dave Ramsey—everyone’s favorite, folksy, imaginary uncle. The crux of this argument is that it doesn’t matter how clever your debt repayment plan is if you can’t actually follow through with it. Order your debts from the lowest account balance to the highest account balance. Pay the minimum monthly payment on all accounts. Apply an extra payment towards your lowest account balance each month. When that balance has been paid off, redirect your focus to the next account with the smallest balance. You then keep applying your extra payment towards larger and larger account balances until all of your debt has been repaid. Is The Debt Snowball Method Right For You? Personal finance is a matter of math, but it is also a matter of strategy. There are many ways of managing debt. However, the debt repayment strategy I prefer might be different from the debt repayment strategy that you, your friend, or your boss prefer. Here are some signs that the Debt Snowball Method may be right for you. I know, I know. You’ve learned what the Debt Snowball Method is and now you’re feeling pumped and eager to get started. But sit down for a minute, Skippy. Is paying off your debt early truly the right decision for you? If you think about this question a bit more deeply, you might be surprised. On the one hand, the benefits of paying down your debt early are undeniable. You’ll have an easier time saving and investing money (and will be able to do so at a faster pace). On the other hand, paying off debt early may not make sense for everyone. With some kinds of debts, persuasive arguments can be made for sticking with a monthly repayment plan rather than paying debt off early. If you’re juggling several competing financial priorities at once, you may need to focus on something more important first (i.e., getting another car before your current one dies or preparing for the birth of a child). And although paying off debt can improve your credit score, it can also wreck your score if you wipe absolutely everything out. So, you’ll need to come to terms with how much you value having a good credit score. Perhaps you’ve given all of this some thought and are now certain that you are committed to making an accelerated debt repayment effort. Great! Here’s a few more signs that the Debt Snowball Method is probably right for you. You can’t pay off your debt early unless you’re able to throw money at your debt above and beyond your minimum monthly payment. That’s just how the math shakes out. Doing so is easy for some people because their monthly payment is small relative to their discretionary income. However, for others, throwing an extra $100 at debt and not a penny more is what’s realistically possible for them. And hey, don’t knock that extra $100! That’s quite a bit of money and more than enough to get started with the Snowball Method. 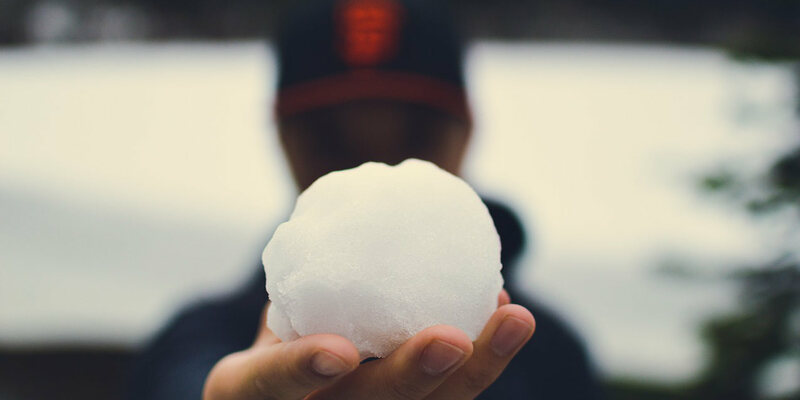 One of the best features of the Snowball Method is that anyone with the capacity to make extra payments can do it (regardless of how large your capacity actually is). Furthermore, because of how the Snowball Method was designed, your capacity for making extra payments will actually increase over time. You have your existing monthly payment. You pay off one of your debts. By freeing yourself from that debt, you’ve also freed up some extra cash that you’ll no longer need to keep paying towards that debt. You will now have a larger extra payment (i.e., $150 instead of $100) that you can apply towards your next debt. And so on and so forth. The best part? Because you’re starting with your smallest debt, you won’t have to wait too long to start increasing your extra monthly payment capacity. What if I told you that there’s a diet and fitness routine guaranteed to help you lose 30 pounds and keep it off—but instead of losing the weight gradually, you’d lose it all at once after sticking to the plan for 12 months? Could you commit to patiently waiting around for that kind of payoff? Doing the debt repayment hustle can sometimes be like fitness: Everyone starts out motivated in the beginning—but if you don’t see results soon, you might become discouraged and start thinking about quitting. Improving your finances isn’t something that you want to give up on. Although some people can handle delayed gratification, most people wouldn’t choose to intentionally put themselves in that position if they didn’t have to. Thankfully, the Snowball Method rewards you as you continue to crush each of your debt repayment goals. By focusing on your smallest debt first, you won’t have to wait as long to hit your first big achievement (compared to when trying to pay off a large debt). By increasing your monthly payment amount as you go along, the method helps ensure that you keep up as much momentum as possible. If you’re looking for something that’s less likely to punish your patience, then the Debt Snowball Method may be the best choice for you. Consumers don’t usually make major purchases without looking at reviews and conducting background research, so why should personal finance be any different? If you’re going to try something, it helps to look for testimonials, research studies, and other forms of evidence that suggest you won’t be wasting your time. Thankfully, there’s an abundance of evidence out there indicating that the Debt Snowball Method is one of the best choices you could make to help you pay off your debt. But don’t take my word for it—consult a few of the experts. Translation: If you’ve paid off some accounts—which the Snowball Method encourages you to do early–you’re more likely to succeed in paying off all of your debt in the end. Gal and McShane also found that paying off large debts doesn’t necessarily increase your chances of becoming debt-free. Translation: Hey, would you look at that! Research says that paying off small accounts is especially rewarding. That motivation will help you achieve your goal of debt freedom. I could feature more research, link to several forum discussions where people have talked about how the Debt Snowball Method helped them, etc., but you get the point. The Debt Snowball Method isn’t just a good idea—it also tends to work for many people. If you’ve decided to pursue the Debt Snowball Method, then the next step is easy: get started. Order your debts from lowest to highest balance, determine what kind of extra payment you can commit to each month, and throw down your first extra payment. In my experience, getting started on any accelerated debt repayment hustle is the worst part of the entire experience because you can see all the hard work that’s still ahead of you. However, rest assured that this feeling fades with time as you start reaching your goals. Speaking of which: Beware a common trap with the Debt Snowball Method—which is spending the cash you’ve freed up instead of applying it towards your next debt. The temptation to spend may get stronger over time because everyone gets sick of the debt repayment hustle at some point. But the ways in which you choose to respond to this temptation are what will define your success in reaching your goal. You can avoid this trip by making sure to monitor your spending each month. For example, I recommend researching free money management tools like Mint, which help compare your current spending to the previous month’s spending. And finally: Don’t forget to celebrate each milestone! Do commit to doing *something* for each debt you’ve paid off, but aim for a little-to-no cost kind of celebration. After all: The sooner you become debt free, the sooner you can really let loose at the big party you’ll throw at the end. The Debt Snowball Method can be a powerful tool to use in your quest to achieve freedom from debt. Hopefully, you’re now feeling inspired and empowered to take control of your finances. However, even if you choose to adopt a different debt repayment strategy in the end, my hope is that you keep your eye on the prize and remember that everyone experiences setbacks from time to time. The struggle is tough, but the payoff is worth it. Have you implemented the Debt Snowball Method to pay down your debts? Have you found Debt Snowball Method easier to stick with than the Avalanche Method (paying off the highest interest debt first)?